We all have habits, you know, ones that aren't detrimental to health, just things we do on a regular basis. Unfortunately even habits that aren't necessarily bad can get us into sticky situations. One of those habits that many people have is locking their front door from the inside on the way out of the house. If you do this then step outside and realize your keys aren't in your pocket or bag you're likely going to be walking circles around your home trying all the doors and windows hoping one is unlocked. If one is not you'll likely need the help of a locksmith, unless you utilized one of these awesome tips to prevent locking yourself out! If you have a neighbor that you know well enough, and trust, you should ask them if you can do a key exchange with them. This means you leave the key with them and you take one of theirs in case of an emergency. In the event that you lock yourself out you know that you only have to walk across the street or to your next-door neighbor in order to get a key to get yourself back in. If you decide to use a hide-a-key key it is important that you find a spot where you are absolutely sure nobody will find it. If a person finds your key box, even if it is a lockable one, they may be able to break it open and gain easy access to your house. Some people elect to simply hide a key without the lock box somewhere on their property, this is not advised because of the chance that somebody will find it. As mentioned, many people use the inside locking mechanism of their front door as they leave their house. While this may be a difficult habit to break it will possibly save you the hardship of being locked out of your home. 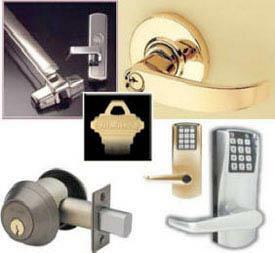 Getting into the habit of locking your door with the key will ensure that you always have it with you. In today's high tech world there's a bigger chance that you will forget your keys inside then your cell phone. This is why things such as so phone case keyholders exist. If you have previously left your keys inside your locked home you may want to try one of these emergency key holders to prevent this from happening again! There are some habits that are hard to break, but there are others that are easier to create. Getting into a rhythm of checking your keys before leaving your house is the best way to ensure you have them with you. Unfortunately we all make mistakes. If you find yourself locked out of your house and need a residential locksmith in Reno or Sparks to help you get back in then feel free to reach out to Reno Sparks Lock & Safe. We offer 24 hour emergency mobile locksmith services! Give us a call at (775) 525-5712 to request more information or to speak with a professional Reno Locksmith.